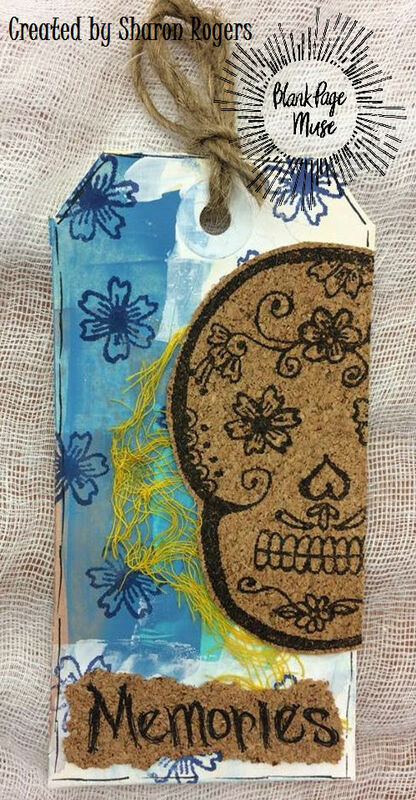 Who can believe it's halfway through November already? 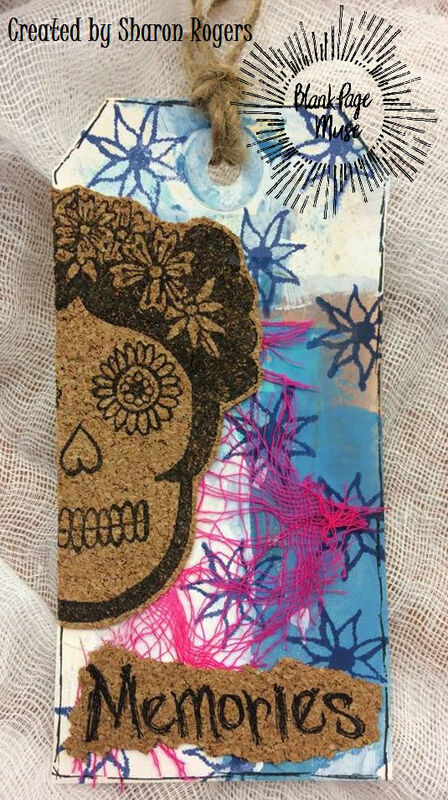 Xmas will be her before we know it! 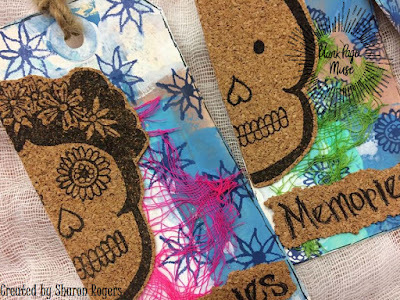 I hope you have been enjoying our November themed month of Family, Fall & Thanksgiving! 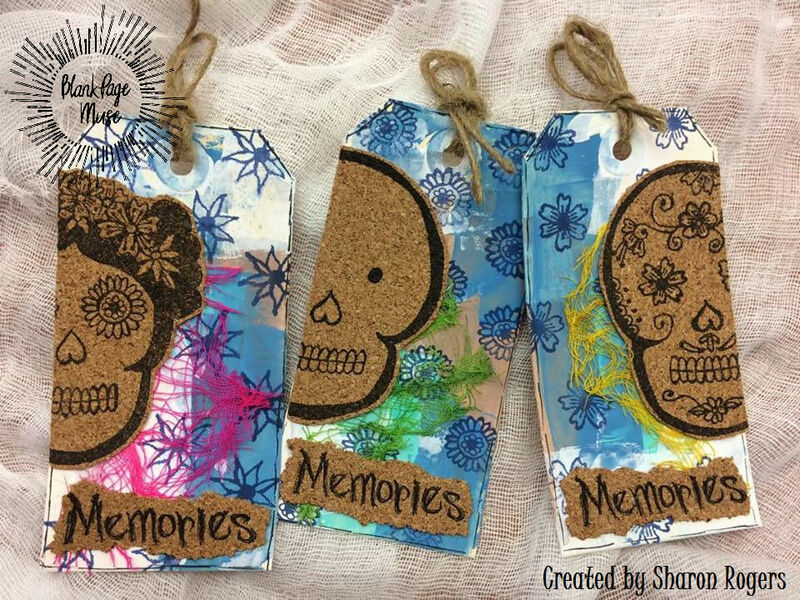 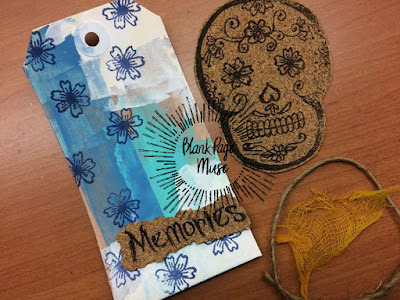 Today I am sharing some Sugar Skull tags with my thought process being "The Day of the Dead" and a day of remembrance and celebration of past family members lives. 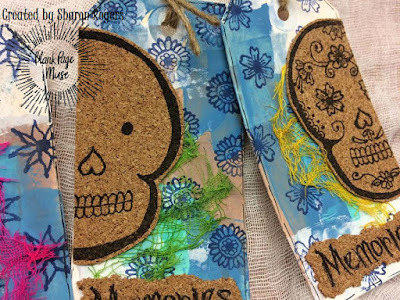 I hope you like how they have turned out and feel inspired to try something like this yourselves! 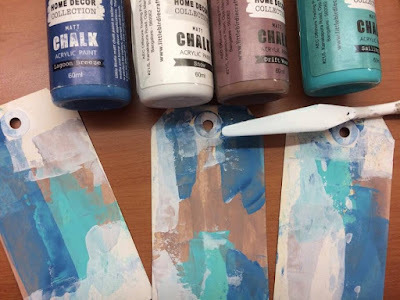 Start by using a spatula or paintbrush and adding a thin layer of various colored chalk style acrylic paints to the tag background. 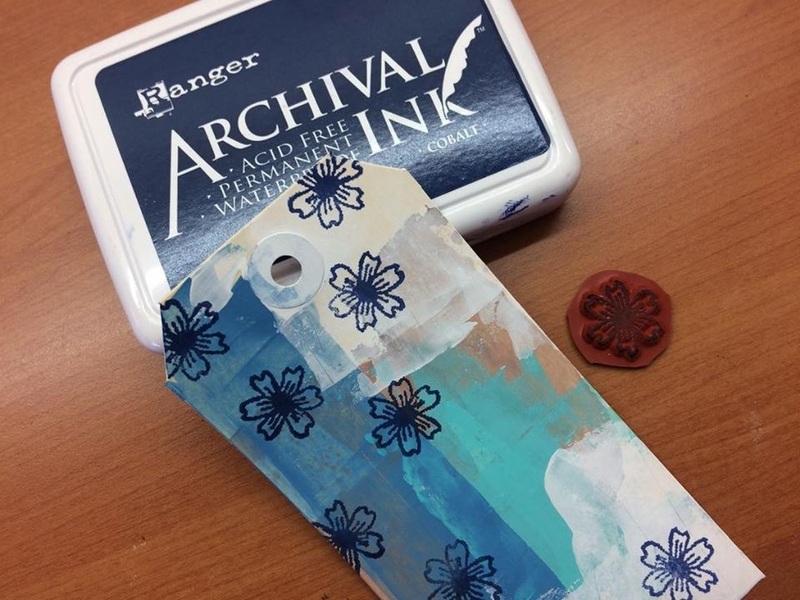 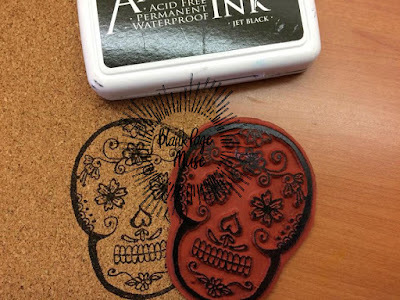 Once the paint is dry - which won't take long as the thin application is quick to dry - stamp one of the little "floral" stamps from the Sugar Skull set over the tag background using the Cobalt Archival Ink. Next is to stamp the feature stamps onto the cork sheet. 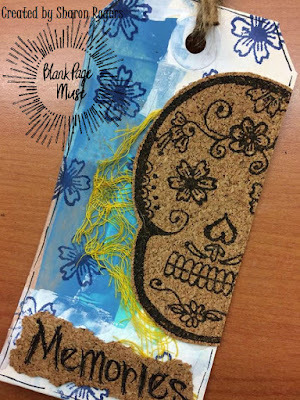 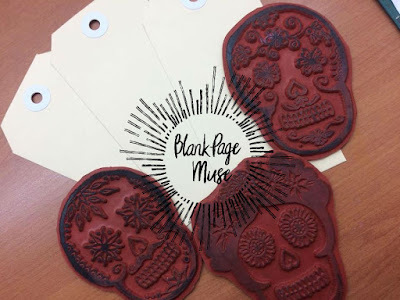 Stamp any (or all) of the Sugar Skulls onto the cork using the Black Archival Ink. 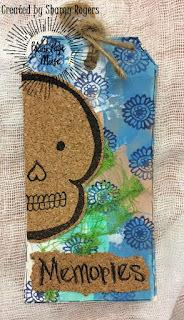 Fussy cut the skull. 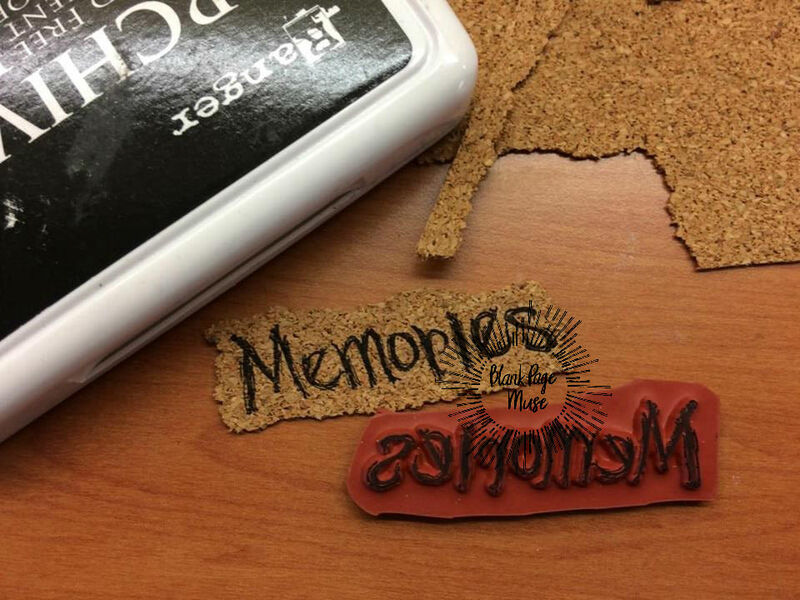 Follow the same process with the "Memories" stamp but instead of cutting the word out just tear the cork. 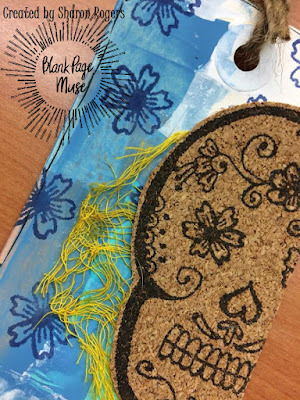 I love this about the cork sheet - it being pliable enough to tear out images and have the messy jagged look! 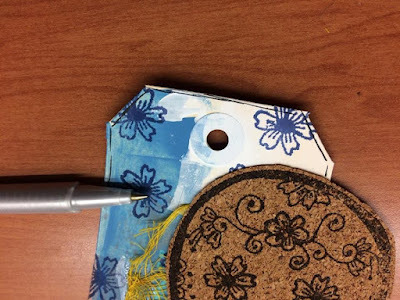 Use a fine black pen to draw a border around the edge of the tag for a finished look. Gather all of your stamped images and extra bits and pieces so you can assemble the tag! 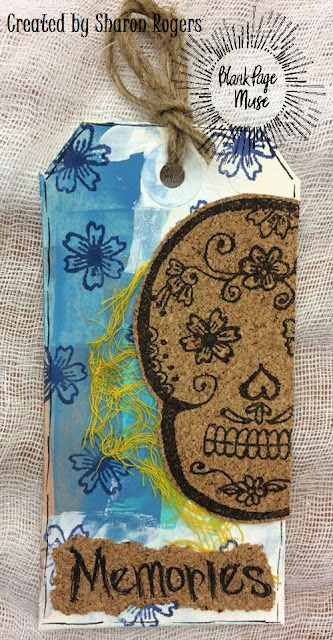 Arrange everything on the tag and then adhere with glue - place the Sugar Skull half off the side of the tag and trim. 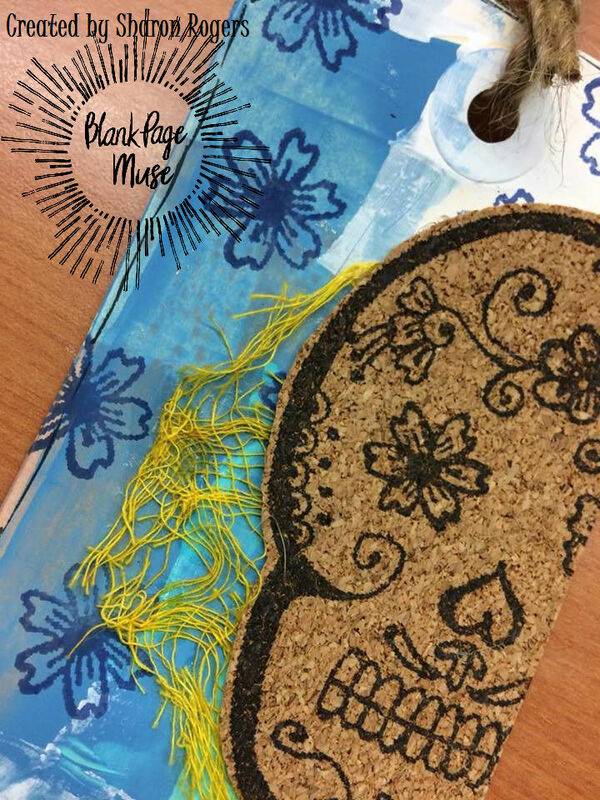 Tie the string at the top. TIP: you can use the "other half" of the skull for another creation!!!! 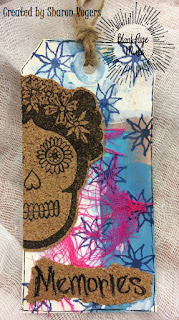 Whilst I was making this I stamped and painted enough other bits & pieces so I could make some extras!